This lifehack lobang is a classic, and one of my favorites in Singapore. Well, Lifehacksg#5 presents - free regular films in Singapore! 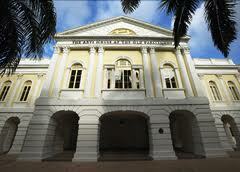 The Arts House is Singapore's premier literary arts space located at the old parliament house, Singapore's oldest surviving government building. For those of you who don't know, there are regular film screenings at the Arts House covering a wide genre of films. Typically, they screen foreign films (with English subtitles) supported by various foreign embassies, or independent works of quality that probe and provoke. On average, you may find at least one free film a month. Personally, I've caught some really amazing foreign films at The Arts House. For an updated film list, you may visit the link here. Replacing one weekend movie night each month with a free film at the Art's House, assuming you go as a couple, we're looking at about $12x12x2 = $288 worth of savings annually. 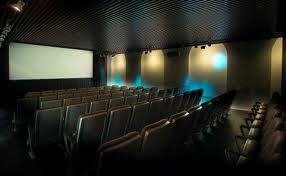 In case you were wondering about the quality of the 75-seater Screening Room, here it is! note: seats for free film screenings are allocated on a first-come-first-served basis; as a rule of thumb, arriving 20mins before is a relatively safe buffer.